The cottage is fully self contained and has everything to offer for a relaxing home away from home holiday. We have recently put in an inside wood fire for cosy holidays over the winter. The cottage is well insulated and catches the morning and afternoon sun, staying warm during the day. We have an authentic 'bush-bath' situated in our garden near the cottage. There is access to our ample vegetable garden for fresh seasonal produce and free range eggs to purchase if required. Our property of 350 acres farms beef cows and sheep, a kiwifruit orchard and our horse trekking business. We are situated in Coroglen, a 20 minute drive to our nearest towns of Whitianga and Tairua, 15 minutes out to Hahei, Cathedral cove, Cooks and Hot Water beaches. Our 'local' the Coroglen Tavern is 1.5 km's away. 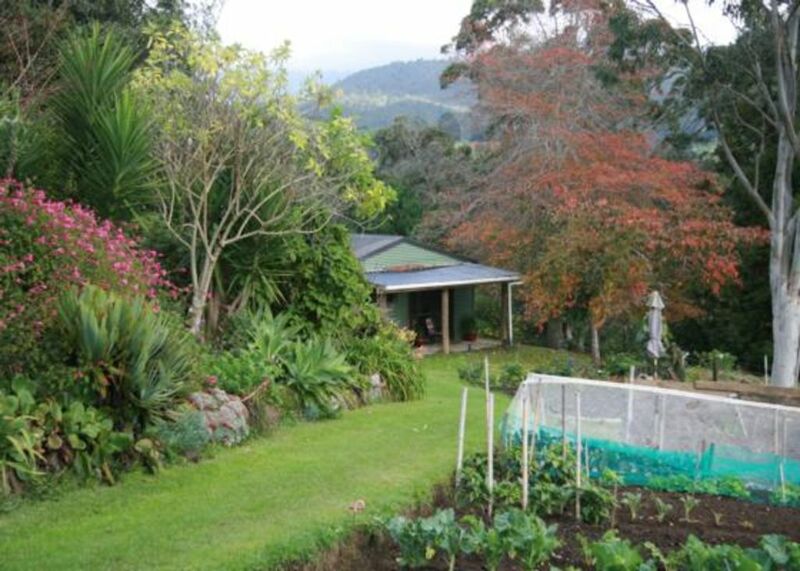 This is a good central location to explore the Coromandel Peninsula and all it has to offer. The cottage is in a private setting amongst our garden with rural surroundings. Location was very central to the peninsula area and private secluded guest house which was awesome! Fantastic horses with a riding ranch ! Comfortable little cottage with everything you need. A great location with horse treks and beautiful beaches at your doorstep. Nothing to Say. On the Heart of nature but 20 min from all the sites to visite, impeccable cleaniless ! We ha a very nice stay. Lovely Bach, feels very private. Lovely Bach, feels very private. Very quiet too. Nice little vegetable garden nearby. Tessa took our 6 year old on a pony on really nice walk through their farm, really enjoyable 45 minute stroll by the river and the kiwi plantation. Husband lent me his wellies as the recent rains made parts a little soggy! Location also great, near to many Coromundel attractions. And pub nearby has pretty good pub food if one can't be bothered to cook. Would definitely return. Highly recommended. The property was in the best setting for an easter egg hunt and very peaceful. The property was in the best setting for an easter egg hunt and very peaceful. It was decorated with a lovely kiwiana feel.